Finals week has come and gone, and as you start registering for classes for the second semester, you realize something terrible: you don’t have enough money to pay for second semester. Or perhaps you have enough money for tuition, but there’s no way you can pay for your dorm room. If you’re flat out of financial aid, don’t panic. These are seven steps that may help you out of your current jam. 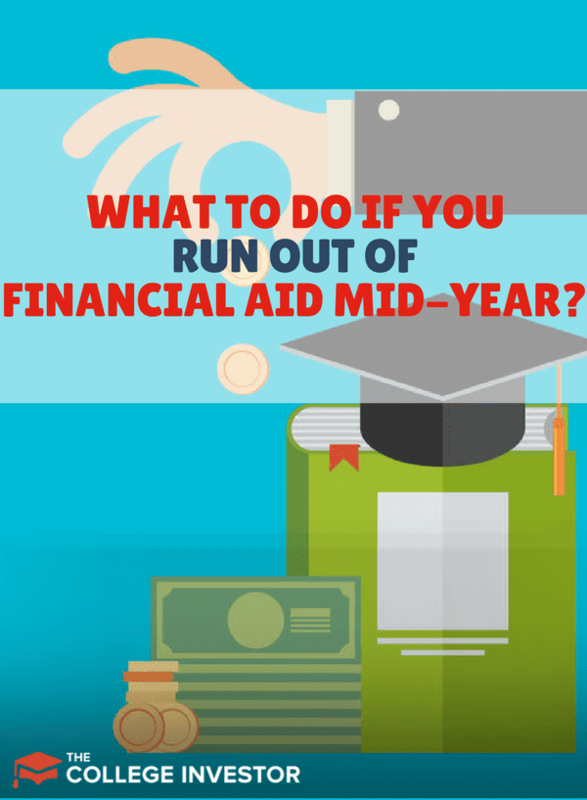 When you’re talking about being out of financial aid in the middle of the school year, it could mean a lot of things. It could mean that you don’t have enough money to pay for tuition, or it could mean that you didn’t take a large enough loan to cover living expenses. Not having enough money to cover living expenses for the next few months isn’t necessarily a horrible situation. The next several tips will help you figure out how to get by. However, if you can’t cover tuition for the next semester, you risk not being able to finish school. The earlier you can figure out that you don’t have the financial aid you need, the more time you’ll have to deal with the problem. Depending on your situation, one or all of these tips could help you get through the semester. Once you’re enrolled in school, there’s not a ton that you can do to change the cost of tuition. Sure, you can get scholarships or get need-based aid, but the cost of tuition isn’t really flexible. What may be more flexible is your personal cost of living. If you’re out of aid, it’s time to become really lean with your living. Instead of eating out, join every club on campus that offers free food, or better yet, start working in the cafeteria or in one of the on-campus restaurants. Not only will you get paid, you’ll usually get a free meal after each shift. Reduce your entertainment expenses to zero by taking advantage of all the free things your college offers. You may be surprised to find free concerts, comedians, movies, and more. If you’re living off campus, the best course of action is to get an extra roommate (or become an extra roommate) as fast as possible. Ideally, you’ll want to live somewhere that doesn’t require you to have a car, because you might not be able to afford it. Feeling exceptionally adventurous (or broke)? Consider living in a van for the remainder of the semester. You can shower in the student health center, study in the library, and park somewhere safe on campus. If there’s ever a time to be flexible with your living, it’s during the college years. If #VanLife won’t work for your situation, you may be able to find a better and free living situation. For example, you could trade babysitting services for a room in someone’s house, or you could work as a property manager. Most schools offer free or reduced room costs to members of housing staff (such as RAs). All of these actions will help reduce how much financial aid you need. It may even close the gap completely if you’re only a few hundred or thousand dollars short. Once again, if you realize that the loans you’ve taken out won’t cover your living expenses, you can close that gap through reduced expenses and increased income. Increasing your income could involve taking an on-campus job. Some of the highest paying jobs are working in fundraising or working at a school’s banquet center. Sometimes facilities management jobs (either janitorial or maintenance crews) are surprisingly high-paying jobs (that offer opportunities for summer employment too). Most of the time, off-campus jobs will pay better than on-campus jobs. If you’re in a big city, consider taking on a side hustle such as Uber or Lyft, or shopping for Shipt. If the sharing economy isn’t a big part of your college town (or you don’t have a car), you may be able to find other jobs. Whether you work retail, dining, hospitality, or in an office, some work is better than nothing. Once again, depending on where you live, you may be able to create your own job. Tutoring, nannying, house-cleaning, maintaining lawns, shoveling snow, and reffing local sports leagues are all ways to earn decent money. If you’re partway through the year, and you don’t have the funds to pay tuition, you need more than just decreased expenses and increased income. You need help to stay in school. The best person to help you with this is a representative from your school’s financial aid office. Explain your situation to them, and ask them if they have any options. The following are a few options you may learn about. If your financial aid leaves you with a small financial gap, you may be able to pay tuition over the semester using a payment plan. For example, someone facing a $2,000 financial gap may be able to pay the school with four payments of $500 each. Earning $500 (on top of living expenses) might not be easy, but it should be possible for many college students. Students facing extraordinary financial need may be able to qualify for a low-interest Perkins loan which is administered by the school. This loan may help you cover the gap between your original financial aid package and your current needs. While this isn’t common, some schools have grant or scholarship money that goes unclaimed. Your financial aid officer should be able to tell you if money is available and what you need to do to qualify for it. I had a friend who unexpectedly received a need-based grant that covered her entire semester’s tuition when she spoke to the financial aid officer about her financial need. In some cases, schools have specific relationships with private lenders who can cover financial aid gaps. If your financial aid officer points you toward private loans, consider comparing private lenders on Credible instead. One surprising way to cover financial aid gaps is through private scholarships. That’s right, you can earn scholarships in the middle of the year. Scholly is a great app to help you find local and national scholarships that you may qualify for. We also have a few suggestions to help you find scholarships that can help you through school. If you’re not studying, working, or sleeping, applying for scholarships should be your life. If you’re facing a financial aid gap, you may have to swallow your pride and ask your family for financial help. They could be able to lend money to you, or they may be able to give you a gift. Your family wants you to succeed, and they may be able to help you out in one way or another. Perhaps they have a connection that could lead to a job or a free living situation. You’ll never know what your family can do until you ask. Some of the time, parents who can’t provide a direct financial gift may be able to help by taking out a PLUS loan (for parents) on your behalf. These are low-interest loans, but your parents are responsible for paying them. Of course, you could promise to pay them back, but if you don’t want to put the responsibility on your parents, it might be better not to ask. A PLUS loan should be able to cover any financial aid gaps you face. If you’re absolutely out of Federal loans and your parents can’t take out a PLUS loan, you may need to take out a private loan. Private loans tend to have high interest rates and will likely require a cosigner. To find the best loans for your situation, compare lenders at Credible. Private loans should be an absolute last resort, but they may be necessary to help you through school. 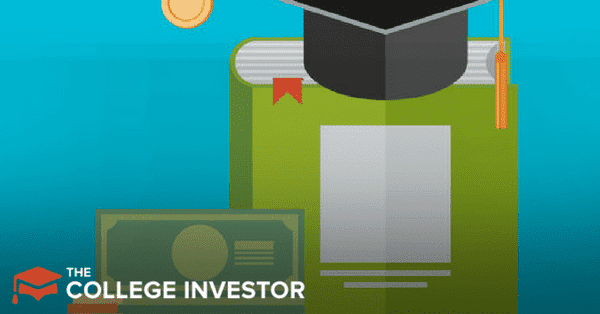 Just be sure you have a plan to pay those loans back as quickly as possible after graduation.